I attend a regional professional meeting every year in October. For the past several years, there has been a silent auction of donated items to raise money for scholarships. I never contributed anything, feeling that the $20 or $30 that is usually paid for an item was likely to be less than I'd paid for it in the first place. 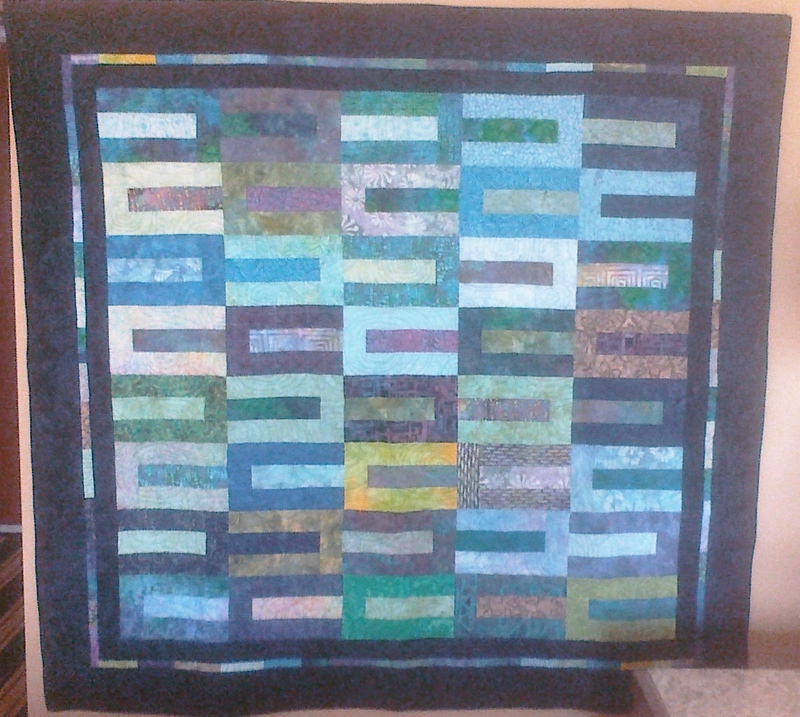 But last year I made a lap quilt, about 50" square, a fractured nine-patch made out of leftovers in my stash. The bidding was intense and the final bid topped $150. So this year I made another one, again out of my stash. It was slightly bigger, at about 60" square. The bidding was not as intense, and the same person won it again this year, for slightly less money. I sewed the binding on during the 5-hour drive to Lubbock. I had to pin the quilt to the wall of my hotel room to take the picture. Unfortunately, the battery in my camera died and I had to use my phone, so the picture is not the best. 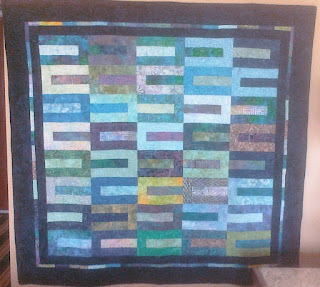 It's always hard to part with a quilt that I like, but I'm consoled that it was for a good cause.